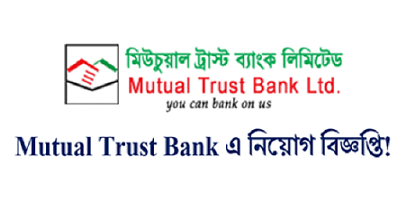 Mutual Trust Bank Limited Job Circular 2019 has been published in daily job portal BDjobs.com and also to get Mutual Trust Bank Limited Job Circular 2019 related full information by CHomeBD.Com. The Mutual Trust Bank Limited is a commercial private (Non-Government) bank in Bangladesh. 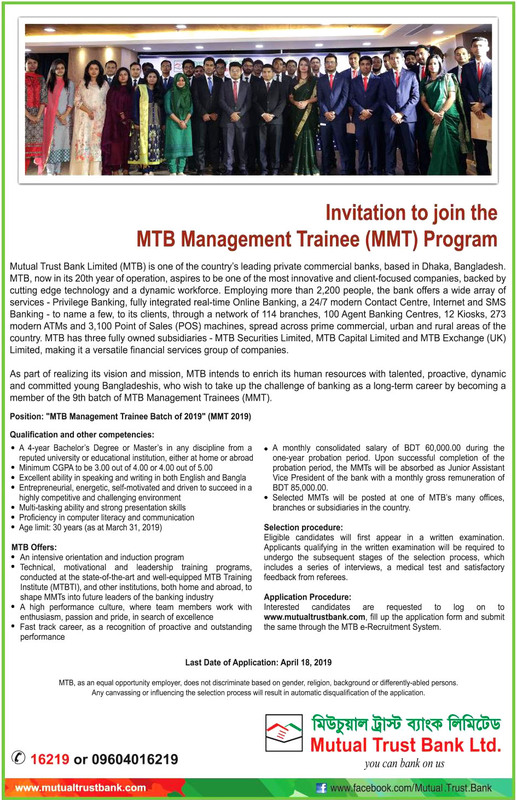 With that information in recent time Mutual Trust Bank limited looking new job holder. The job Title is Management Trainee Officer. If you are interested that job to see our mentioning job requirements. Here, below we already given full job circular details including published date, application deadline, online application system, additional requirements, educational qualification and most important job circular original image. Check out now and Apply before deadline! How to Apply: To Go On bdjobs.com and submit your resume.